Video: Ranbir and Deepika groove to Dilliwaali Girlfriend! Watch Ranbir Kapoor and Deepika Padukone groove to this party number from their upcoming movie Yeh Jawaani Hai Deewani. Is it just us or the films seems to have too many of these fun, flirty number? Catch the video right here! 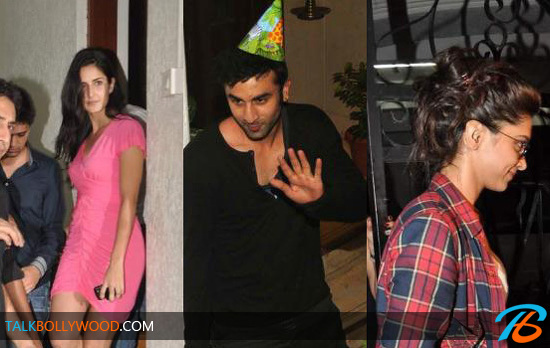 Ranbir turns 30, Deepika-Katrina spotted at his birthday bash!